’s been a couple of weeks since I’ve reviewed a film here on the site. When deciding on what film to review, I had a couple of choices but I had a film sitting there for a while that I wanted to see but haven’t had the time to until now. “Future Justice” is the latest from director Richard Griffin. He’s done some very entertaining low budget films in the past like “Nun of That”, “Dr. Frankenstein’s Hungry Dead” and most recently “The Sins of Dracula”. His latest film marks the second nationwide release on his Scorpio Film Releasing DVD label. The film is about a prisoner being returned to earth by group of military police officers. When they land, they find that a nuclear war has eliminated most of the earth’s population. As they search for answers, they find a group of people hold up in an underground bunker. Unknown to them, they’ve arrival home has drawn the attention of a vicious gang that is looking to kill in order to survive. Now they are holed up in an underground bunker looking for a way to defeat the vicious gang before they end up dead. This was one of those films where I thought I wasn’t going to like it ten minutes in. Still, I decided to still watch this film because I wanted to a review a film after having not done one in almost a month. Thankfully, I decided to stick with this film, as it got better as the film went along. This might not be one of Richard Griffin’s best film, but he still does a good job with the way he handles the film given that it’s low budget. One of the things that I liked was the way that he directs the film’s action sequences. Whether it was the way they were choreographed to how it’s directed, Griffin does a good job making sure the action scenes have a level of intensity that grabs your interest. When that happens, it can make up for most of the flaws. The other thing I liked was the way he directs his cast. Whether it’s the way he gets his cast to be interested in the material to making sure they have chemistry, Griffin does a good job getting good and solid performances from cast especially in the last third of the film. The screenplay by the film’s star Nathaniel Sylva was good as it delivered a solid story. I liked how he takes time setting up the action. Sylva spends time in the story to get to know and develop the characters between all of the action sequences in the film. It made the characters worth watching and made me interested. When you have a film on a small budget, you need to make sure the characters are interesting and this screenplay does that, if not you just have a collection of action sequences. Thankfully, it focuses on the characters as much as it focuses on the action. 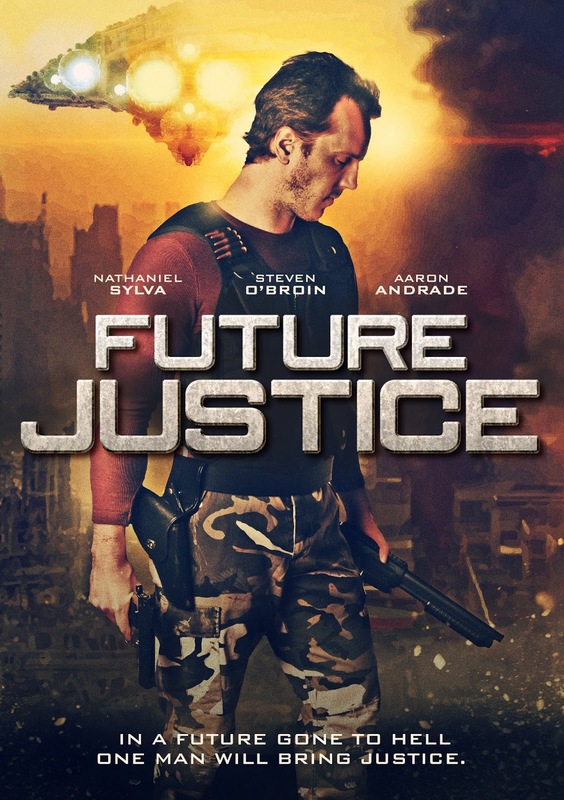 “Future Justice” is one of those films that has a bad open but rebound nicely enough to make this film entertaining. It’s something you should check out, if you’re in the mood for a post-apocalyptic action film.